SPHERA is an innovative SME born in 2008 as a spin-off of the University of Salento. The objective of SPHERA has been evaluated, enriched and improved by the countless technological, process and product innovations for companies and for public and research bodies. SPHERA offers its customers the opportunity to have a complete knowledge of the reference market thanks to multiple detailed statistical, socio-economic and territorial analyzes and to the preparation of models for the evaluation of policies and the impact of investments. 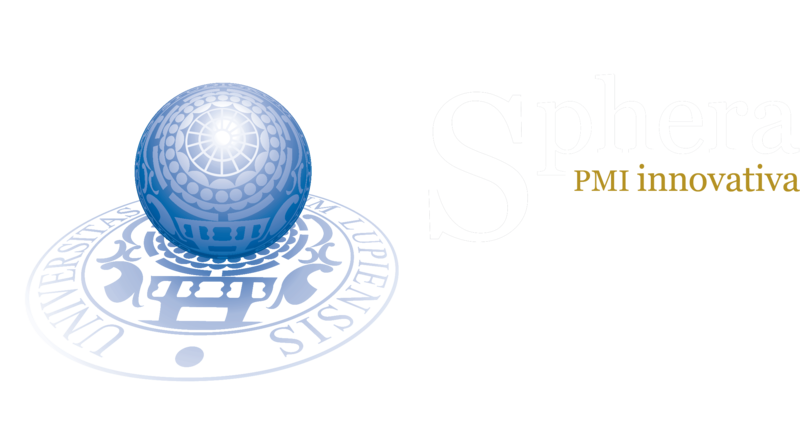 SPHERA accompanies companies and organizations in the planning phase and in the monitoring phase of the projects presented and funded under the various national and international funding programs. Sphera deals with research and development of innovative technologies in the IT field. Sphera offers companies the opportunity to evaluate the appreciation of their products and services and make a real-time comparison with competitors, thanks to a proprietary machine learning based algorithm system. "ABAUTYOU" is the application of SPHERA for the evaluation of Auditing & Trend of products and services. The first step for a right digital strategy is to listen, analyze and compare everything that is said online about your brand. Detailed reports on users' sentiment on social networks facilitate marketing operations. Facciadapremier is an online comparison between the premier candidates in the Italian elections of 2018; updated in real time and able to show followers, intensity of the social activity, wordcloud of the most used terms on the pages and finally the socialgram, an indicator of the preference of the users with respect to the candidates. 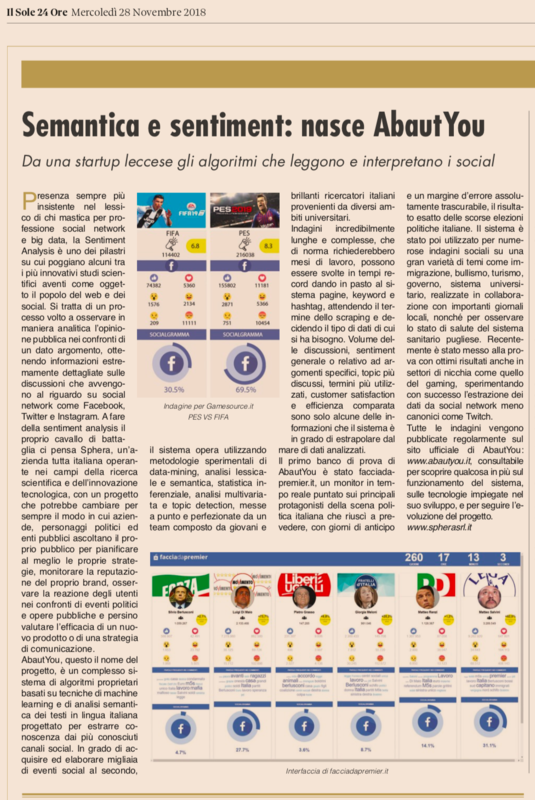 Instrument of social investigation, Facciadapremier was incredibly accurate and accurate in reflecting the real situation of political preference in Italy, predicting, with an absolutely negligible error, the actual result obtained by the candidates at the polls.